At nearly every musical, after the cast have taken their final bow and as the audience start filing out onto the street, the band will typically play a minute or so of exit music, almost the opposite of an overture, before they too sign off for the night. I try to make a point of staying in the auditorium until that number is over, by which time often more than half the crowd will have left, so as to applaud the band (and at that moment in time, only the band) for the usually top-notch contribution that they will have made to the evening’s entertainment. 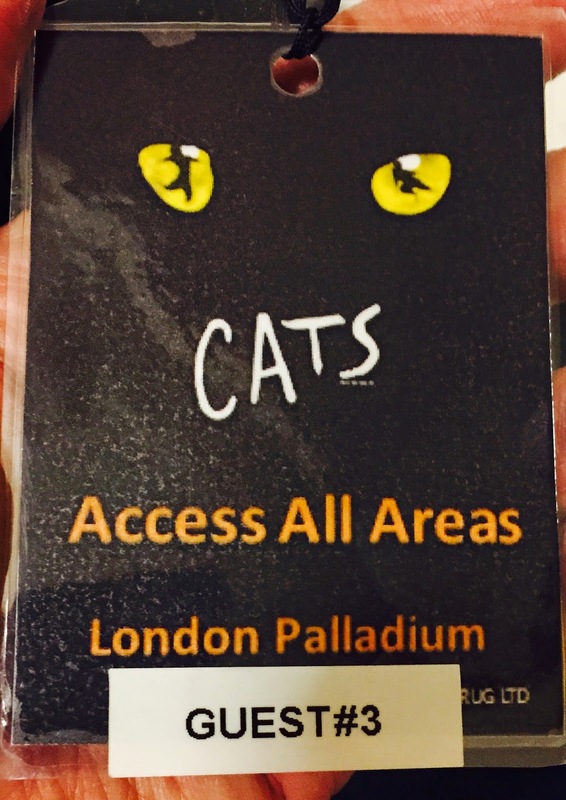 So I was delighted when on having mentioned to my friend Anthony Gabriele, currently the musical director (MD) of Cats at the London Palladium, of my curiosity to see inside the orchestra pit during a big West End show, that he graciously invited me to sit in for a performance. Meeting me at the stage door, he showed me down to the pit and as we made our way through the clowder of feline-costumed actors having their radio mikes checked, I felt suitably humiliated surrounded by such talented and athletic performers each of whom could probably summon up more fitness in their little finger than I could muster at all! A good musical production is a akin to a 3-legged stool. The cast, the creative team and the orchestra make it a success and if you take away any one of those legs, the show flounders. Traditionally a show’s pit is located sunken and to the front of the stage, where the audience’s typical view is of the conductor’s head and whirling baton just visible, allowing him eye contact with both stage and band. The staging of Cats is such that there is no room for such a luxurious, standard location and instead the musicians are located completely out of sight beneath the stage in a virtual musical dungeon. TV monitors allow Gabriele to see the action up top, whilst the usual screens fixed to the front of the dress circle (carefully located out of audience sightlines) allow the performers to clock the conductor. Like a train formed of an engine and its carriages, (and for that read the orchestra and the cast – and I daren’t say as to who is the engine!) it is the MD who not only drives the train but more importantly, couples those units into one. He or she must be strong enough to hold the train together, yet flexible enough to allow bumps along the track to be absorbed into a smooth journey that neither de-rail nor delay the train and which 99 times out of a hundred, will not even be noticed by the paying passengers enjoying the journey. Stopping off en-route to the pit to say a quick hello to the lovely Kerry Ellis, starring as the show’s Grizabella, I was then sat close to Gabriele (but out of the way), in front of his 8 musicians and issued headphones (cans) to listen to the voices that would be coming from afar. Out of sight, the dress code is a casual mix of jeans, trainers and t-shirts, but this is an appearance that couldn’t be more deceptive. As the overture starts it is clear that these men can play tunes, known the world over, to a world class standard. My phone was safely set to flight mode and with baton raised, maestro Gabriele got the show underway. Andrew Lloyd Webber began composing Cats in the 1970’s and there is a strong synthesised/ keyboards bias to his compositions. Gabriele’s band comprise 3 keyboard players, 2 people on reeds, a drummer, a guitarist and a bass player. The Cats pit has some clever touches. An array of speakers feed the keyboards’ electronic output (already being channelled directly to the show’s sound desk) into the room, to blend with the acoustic sounds of the traditional instruments. Microphones suspended from the ceiling pick up this ambient melding of the sounds, providing a further layer of texture to the finished product that the sound team put out to the audience. It has proved to be a gorgeous enhancement of the melodies. 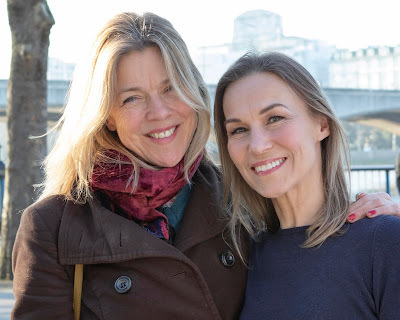 It takes a MD of considerable talent to connect with performers located elsewhere in the building but the youthful Gabriele is amongst the very best of the bunch. The man knows the show intimately along with many more besides. Indeed, it was a surprise during the interval to find him helping Joseph Poulton (Mistoffelees in the show), with the tongue-twisting Zulu lyrics from The Lion King's Circle Of Life opener, before the actor transfers there when Cats closes at the end of April. Gabriele has MD'd that show too. A musical that is either sung or danced through completely, there is barely a moment in Cats that is music-free, and whilst the headphones proved a useful assistance in following the action on stage, there were times when I just took them off and listened in amazement to the talent manifest around me. What struck me on the night observing the 8 musicians was the passion and commitment writ on their faces as they delivered the classic score, along with an immense sense of welcoming camaraderie shown to the two deputising musicians (“deps”) who were in on the night, covering for absent regulars. In no particular order and amidst a sea of excellence, memorable moments were the relaxed banter amidst the keyboard players, the gorgeous double-bass work during Growltiger’s Last Stand with a deliciously jazzy syncopation throughout the number. There was a “funk-rock” sound to Mr. Misstofelees that included moments of percussive wonder from the drummer, (I was amazed to see and hear played, up close and for the first time, the enchanting glissando of a mark tree) whilst the brash big-band sound of Mungojerrie and Rumpleteazer was a delight and of course the overall orchestral splendour of the Jellicle Ball helped explain why, for so long, this show had been the longest running hit on both sides of the Atlantic. Cans were slipped back on to hear Kerry Ellis smash the line “Touch me..” from Memory, proving that even through a headset and on a black and white monitor, her performance is still nothing short of sensational – though as the song played out I took the cans off to luxuriate in these 8 musicians generating what has become one of the most broadcast and beloved songs in the canon in recent years. Gentlemen, thank you all. It was a night I shall never forget. Orchestral Management: Stephen Hill for Musicians UK Ltd.